In an ideal world, software is completely “bug-free,” and unicorns come in a variety of colors. A good software should be resilient to occasional meltdowns. Goals should be to keep the issues to a minimum and increase the turnaround time. In this blog, I am going to describe how ‘Logging’ can be extremely useful when troubleshooting Production issues. On a Friday evening, just before you are about to step out, you get a support call, and they say, “Something went wrong!” I am sure we all have been there before. On probing more, you get another piece of useless information, “I was doing my usual thing and the application crashed on me!” And you spend the rest of the evening just understanding what that “something” is. The fix may or may not take that long but just getting to the point where you can re-create the scenario may take some good time and effort. What steps led to the error? Was an error flashed on the screen? Is there anything logged in the Event Viewer? Is the error user/environment specific? It would be great to have a report that describes in detail the events that have occurred, and the order in which they have occurred. 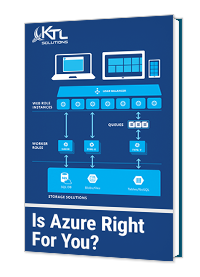 Any information is good information when it comes to troubleshooting. I am going to walk you through the whole process of setting up Log4Net through a sample Console app. Step 1: Create a new Console App inside Visual Studio or VS Code and name it as ‘Logging’. Next step is to define a config section for Log4Net in web.config or app.config. Next step is to add your Log4Net settings in the Log4Net Config Section. This section will have entries for various Appenders and Root Logger. Let’s start with a simple Console Appender. And that’s it, this is how it’s done. Let’s look at some other options out there in terms of Appenders and Filtering. There are 5 different log message levels as listed below, each with a varied degree of seriousness and priority. Developers should use all these levels to log information, events, errors, etc. depending on what happened and the seriousness of the situation. In log4net lingo, an output destination is called an appender. Appenders can be thought upon as subscribers who are registered to log events to multiple destinations. Log4Net comes with a standard list of appenders. Most common appenders are FileAppender, RollingFileAppender, and EventLogAppender. 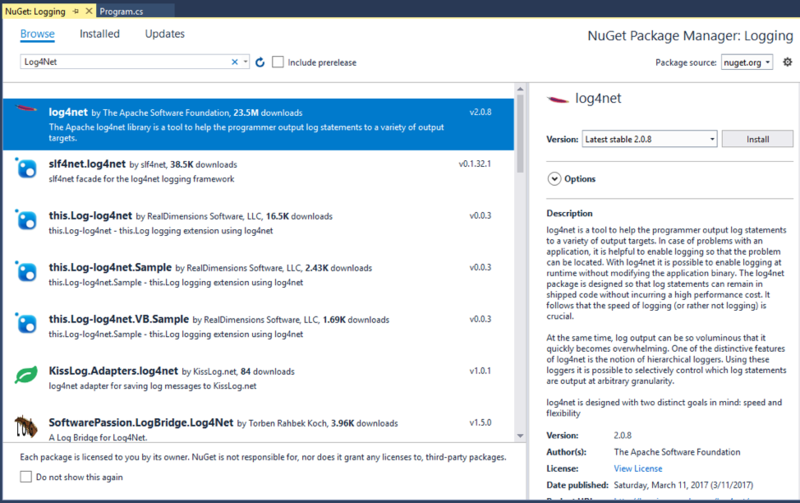 Although Log4Net comes with a long list of appenders, there may be a case where you want to write your own appender, let’s say an integration with your Bug Tracking system to create a new bug on each error, or maybe trigger a Logic App in Azure when an error happens. This can be done by implementing log4net.Appender.IAppender interface. An easier approach is to derive your custom class from an abstract class log4net.Appender.AppenderSKeleton which does most of the work of implementing the interface. Users can customize the message that gets logged to the list of Appenders using Layouts. A layout goes with each Appender. 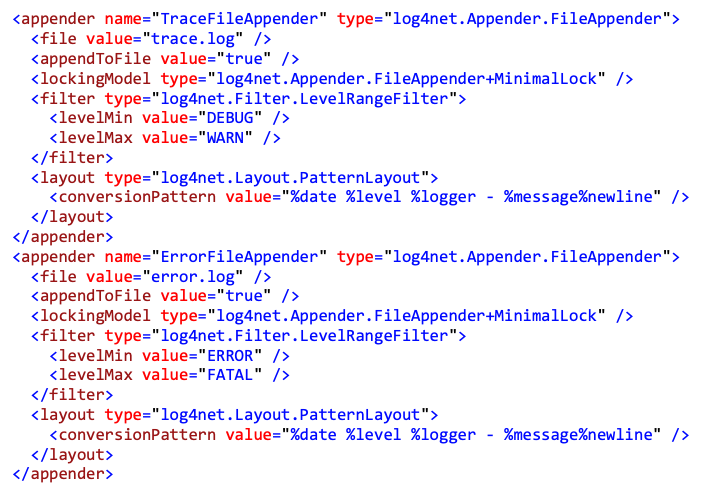 log4net.Layout.ExceptionLayout Renders the exception text from the logging event. log4net.Layout.PatternLayout Formats the logging event according to a flexible set of formatting flags. log4net.Layout.RawTimeStampLayout Extracts the timestamp from the logging event. log4net.Layout.RawUtcTimeStampLayout Extracts the timestamp from the logging event in Universal Time. 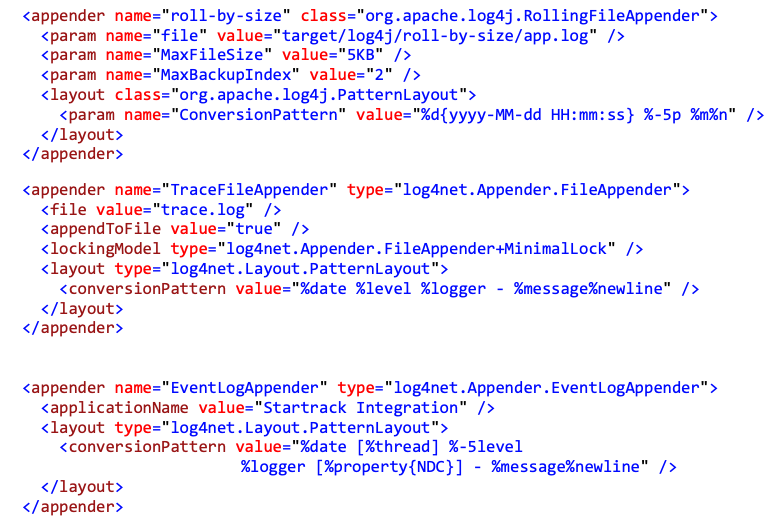 log4net.Layout.XmlLayout Formats the logging event as an XML element. log4net.Layout.XmlLayoutSchemaLog4j Formats the logging event as an XML element that complies with the log4j event dtd. This is a very useful feature of Log4Net as it allows a user to decide what gets logged. The filters can be configured to either accept or reject the event based upon the match. log4net.Filter.DenyAllFilter Drops all logging events. log4net.Filter.LevelMatchFilter An exact match to the event’s level. log4net.Filter.LevelRangeFilter Matches against a range of levels. log4net.Filter.LoggerMatchFilter Matches against a the start of the logger name. log4net.Filter.PropertyFilter Matches a substring from a specific property value. log4net.Filter.StringMatchFilter Matches a substring from the event’s message. You can also create your own event filtering for complex business needs using the log4net.Filter.IFilter interface. Log4Net is easy enough to start using it out of the box but at the same time it allows customization if there is a need for it. Also, the configurations such as adding new appenders and such are maintained at the high level (config file) where the deployment team can set it up easily without involving Development team or other IT staff. Do You Know What to Do When Things Go South? As a gold-certified Microsoft partner, KTL Solutions is here to help your business with any issues on Microsoft programs. We provide training programs to help you avoid problems to start with and offer customized software solutions tailored to what your business needs. Let us help you when you have an issue. Give us a call today.